John Mellencamp (born 7 October 1951 in Seymour, Indiana) is an American singer-songwriter, known for a long and successful recording and performing career highlighted by a series of 1980s hits, including "Jack & Diane", and by his role in the Farm Aid charity event. Mellencamp currently lives in Bloomington, Indiana. John's first record released was under the stage name "Johnny Cougar" at the behest of Tony DeFries, his first manager. John's first record released was under the stage name "Johnny Cougar" at the behest of Tony DeFries, his first manager. Mellencamp claims it was against his knowledge and will, and he hated the name. A few years later in 1982, he made his break through with the album "American Fool" which includes the hit singles "Hurts So Good" and "Jack and Diane" under the stage name "John Cougar". With 1983's "Uh-Huh" album, he added back his real last name, "Mellencamp." By 1987's "The Lonesome Jubilee" he dropped the "Cougar" moniker altogether, and has been known henceforth as "John Mellencamp." 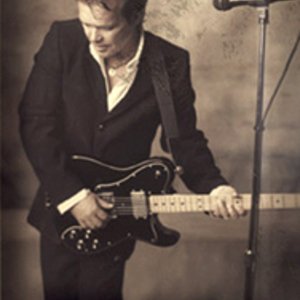 Mellencamp has always been socially and politically active and supported the "Vote for Change" Tour in 2004 opposing the policies of President George W. Bush. Mellencamp is a devout evangelical Christian and strongly believes in non-violence; he has spoken about his beliefs frequently in interviews.